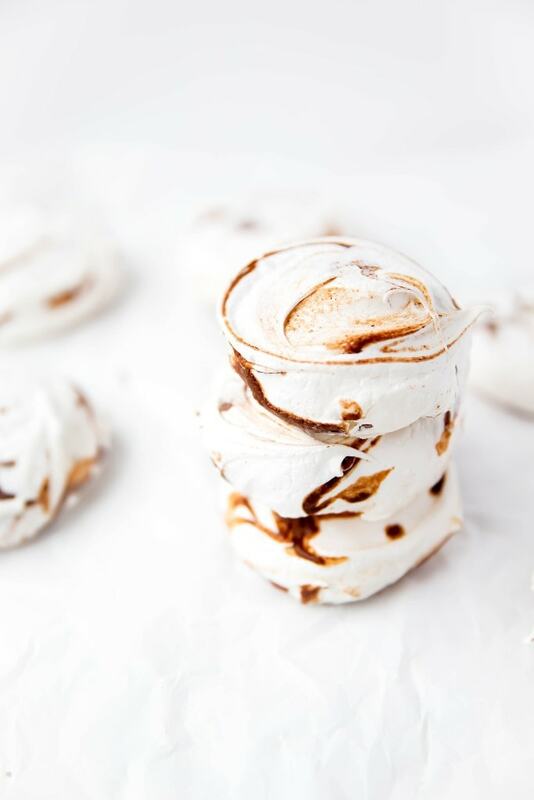 Nutella Meringues: Pillowy meringue cookies swirled with ribbons of rich nutella. I just explained to my mom and Rebe what SEO is. Why? Because I wanted help coming up with a good name for these cookies. 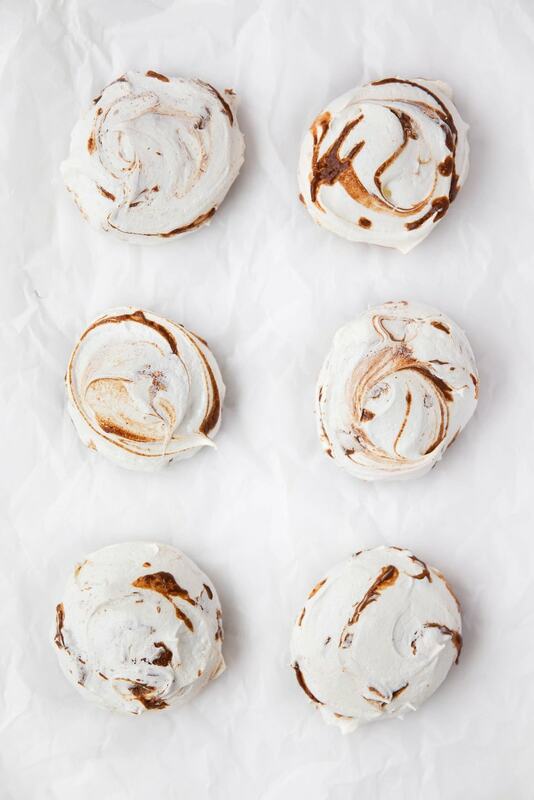 Do I call them Nutella Meringue Cookies, Swirled Nutella Meringues, or just Nutella Meringues? Rebe giggles. “No!” I say. All I can say is I love my family. Whatever-you-call-them-arangs aside, these babies are winning in my book. Crunchy outsides with marshmallow-like centers cut with ribbons of nutella? Four for me, please. This is one of those posts where I will employ my favorite phrase, pillowy clouds. Things that are pillowy clouds: cotton candy, thick churros, mousse, meringues. These Nutella Meringues especially on account of their cloud-like shape. I mean, what are you waiting for? Is your mixing bowl out yet? It should be. Preheat oven to 275°F. Line a large cookie sheet with parchment paper. 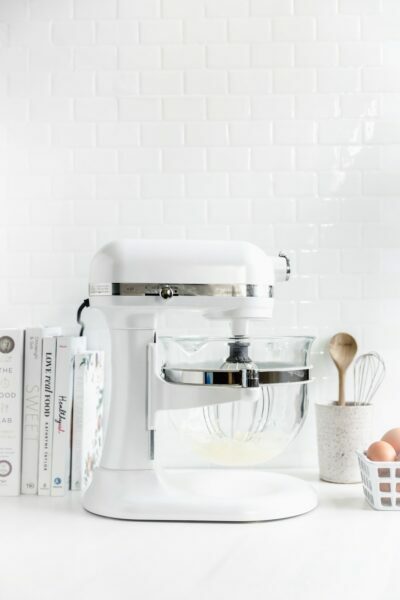 In a standing mixer fitted with the whisk attachment, whip the egg whites on high speed until light and foamy. Slowly add in sugar, cream of tartar, and salt, and continue to whip until stiff peaks form and the sugar granules absorb completely. Heat the nutella in a microwave-safe bowl for 30 seconds, then stir. It should be completely liquified, but if not, nuke it for another 15 seconds. Scoop 1 large spoonful of nutella over the meringue. Do not fold it in. Use a large cookie scoop to scoop out the meringue onto the lined cookie sheet. Clean your scoop between each scoop. Drizzle a small amount of nutella over each cookie. Swirl the back of a clean spoon in a circular motion on the top of the cookie to flatten it slightly and swirl the nutella. 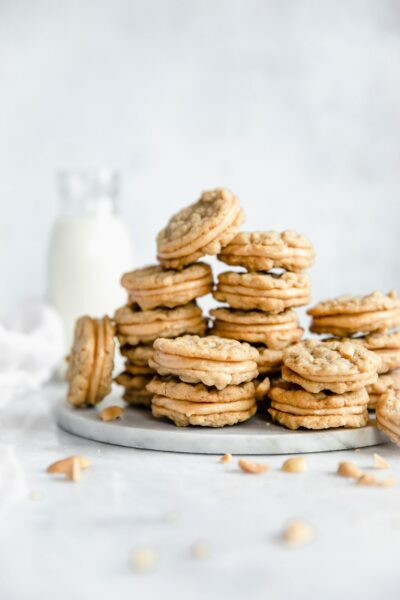 Bake the cookies for 1 hour, then allow to cool completely before serving. These pillowy clouds are GORGEOUS! I totally understand trying to name things, and trying to explain SEO to someone who is not a blogger. It never ends well. But, if anything ends in these being in my face, I’m game! Pinned! Oh I totally laughed at this story. Thank you for brightening up my morning. Your family is hilarious. I think we should all get together ASAP! And eat pillowy clouds while we’re at it! Beautiful AND delicious I’m sure Sarah! I’ll take ten! hahaha I love your family. that whole dialogue up there cracked me up. the meringues are so pretty!! love the swirls of nutella throughout the white! They’re cute, aren’t they? Thanks Julie! I feel like you’d fit right into the mix, Traci. It would be so fun!! These meringues are lovely! Anything with Nutella makes me weak in the knees! Thanks Sam! And I totally agree. Ugh! Oh absolutely no calories. You get me! I think I love your family too! These look so wonderful! I am loving all the swirls which makes them look like so much fun to make! Awww thank you Linda! Happy almost weekend! Why thank you!! You should! Girl, how do you do it! These are stunning 🙂 Pinning! These looks so perfect, Sarah! 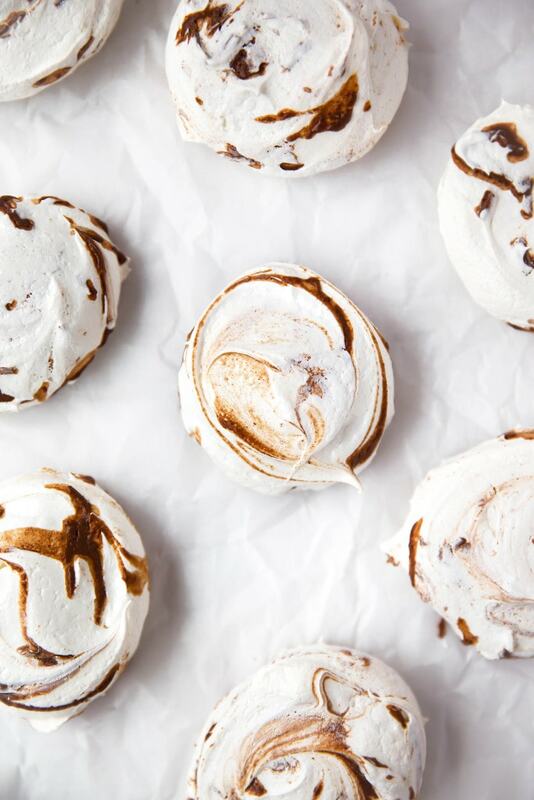 I love the swirl of nutella in these meringues. They look delicious, whatever they’re called! These are pillowy clouds of perfection that I want right this very minute! Whatever the name, I just want about 10 of these to be in my belly! Hi Betty! Not a dumb question at all. The cream of tartar is a stabilizer, which helps the egg whites keep their shape. It’s not essential at all, but rather just helps to keep things extra firm. You can make the recipe just fine without it 🙂 Happy baking! sarah! thank you so much. I’m definitely going to try this tonight! Enjoy Betty! Let me know what you think!!! These look amaaaaazing! I know meringue can be fussy… Can I double the recipe without too much trouble? Thanks for the recipe! Hi Sara! Yes, you should be able to double the recipe with no problems. Just make sure you have a large mixing bowl! Thanks for commenting and happy baking! 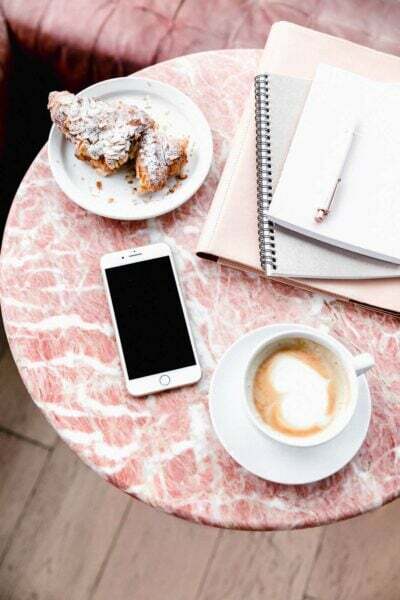 Trying to figure out names for posts is definitely one of my least favorite parts of blogging! But I think simple “nutella meringues” really says it all. And by that I mean…it says that my life has been incomplete never having had them! Every time I see “incomplete” Backstreet Boys starts playing in my head. Innn commm p-lee-eeet. 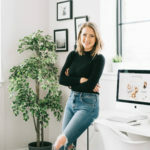 Sarah, I follow your blog of course, but I don’t really need to because my best friend (not a food blogger, and also named Sarah incidentally) pins your work and then sends it to me. Like every day. It’s so funny and awesome. I love it. She sent me this pin of course and I had to come over and say YES PLEASE.